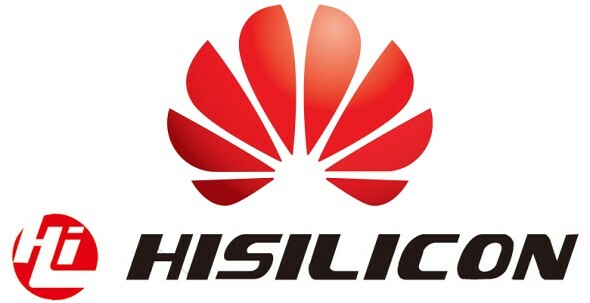 Huawei's own chipset line - Kirin has never really been trendy or widely-discussed. Unlike Qualcomm's and Intel's chips it does not have proprietary graphics and instead relies on ARM technology which often lagged behind in performance. This might change very soon as the Chines tech giant is apparently preparing a major upgrade to its lineup, featuring three new upcoming SoCs - Kirin 930, 940 and 950. An alleged specs sheet for the future chips has slipped through the cracks and they do look mighty impressive. And before you say to yourself, "Well that sounds awesome for the new Huawei MediaPad or the P9 which I am not really interested in that much", consider this. Huawei will, most-likely, be a manufacturer of choice for the next Nexus device, so the capabilities of Kirin chips might turn out to be more important than you think. So let's have a quick glance at what Huawei is working on. First up is the Kirin 930. This is the one we are probably most familiar with, as we already know it will be powering the upcoming Huawei MediaPad X2 and the Huawei P8. It comes equipped with four Cortex A53 cores plus another four A57 ones, with a max clock of 2GHz. The GPU is an ARM Mali T628, which may not be the most powerful on the market but still offers plenty of oomph. The SoC supports up to 32MP sensors and offers 1080p video encoding. A very important feature that the Kirin line will get is the always-on dedicated sensor coprocessor. In the Kirin 930, it is dubbed the i3 and it is going to be replaced by an upgraded i5 model (not to be confused with the Intel processor though). This should allow for continuous measurements as well as better connectivity and security. The Kirin 940 will be a major improvement over the 930. It replaces the A57 cores, with the even more capable A72, throws in LPDDR4 memory support, DUAL ISP with 4K video encoding, as well as the Mali T860 for admirable graphic performance and many, many more other improvements. The Kirin 950 will only bring small tweaks to its predecessor. It will come with a beefed-up camera support (up to 42MP DUAL ISP), Cat. 10 LTE and a Mali T880 GPU. If rumors are to be believed, we should be seeing the all three chips this year, in Q2, Q3 and Q4, respectively. Dont waste time,mediocre performance ,lousy OS! After reading your comment,i know you are poor. tell me what type of huawei phone is build in plastic as samsung? and huawei spent more than $5bn in r&d 2014, it is no.1 vendor of lte infrastructure, no.1 vendor of optic communication.